My fashion preference has never leaned towards the metallic side...until that Silver Winter Jacket came into my life. 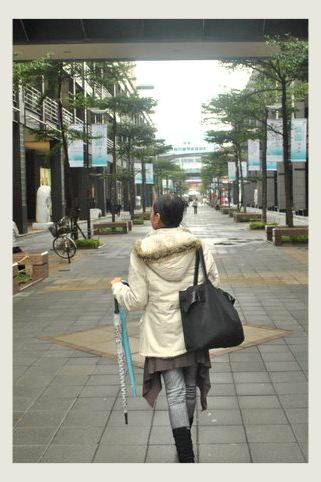 'Twas in November 2010 when I, together with the Hubby who was then the Boyfie, travelled to Taipei, Taiwan to visit our friend Yao. Both of us were first-timers in that country and so we did not expect that it would be very cold there. As in brrrrrrrrrrrrrrrrrr....cold. Coming from a tropical country like the Philippines, the jackets that we brought were not enough to battle the freezing Taiwanese air. 'Twas not only cold, but drizzling as well, hence, the umbrellas. Bulky Off-white Winter Jacket on the way to Taipei 101. After 3 days, we bade farewell to Yao and his hospitable family. One of the parting gifts given to me by his mom (whom we got as one of our godmothers when Hubby and I got married months after) was a Silver Winter Jacket. It was really a sweet gesture and I accepted it graciously even if the color wasn't something I was very fond of, not in my outfits anyway. Little did I know that it was just the beginning of my love affair with the Silver Winter Jacket. After 4 months, I had the opportunity to fly to Korea for business purpose. Prior to the flight, I was informed that it would be much colder in Seoul so I should bring a good coldbuster such as, well, a winter jacket. I initially bought one from a surplus shop but upon spending some time in front of the mirror, I realized it was waaaaay too big for me and wearing it made me look like the Marshmallow Man. And then I thought of that Silver Winter Jacket. It actually fit me perfectly, without the bulk. And with its material, I surmised that it would provide me enough warmth, again without the bulk. I also noticed that though it's silver, it's more matte than shiny. And so, it inevitably found its way to my luggage. 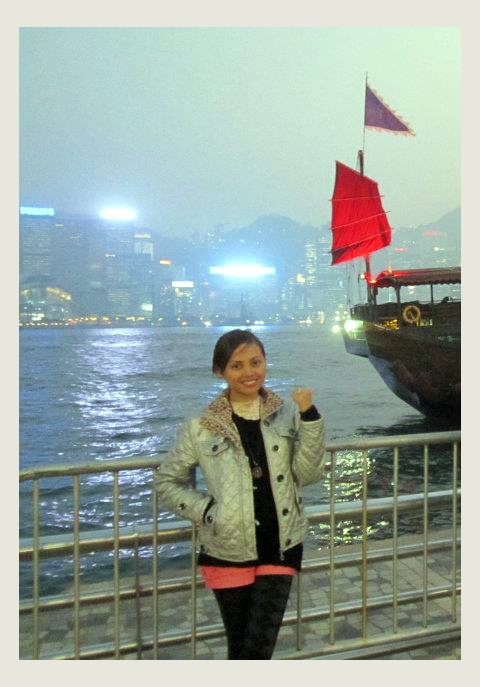 The Silver Winter Jacket did not fail me in Korea and I deemed that I did not look that odd at all wearing it so I decided to bring it with me the next time I needed it --- when I went to Hong Kong to spend New Year 2012 with the Hubby. I can say that though it wasn't love at first sight, the Silver Winter Jacket now has a special place in my heart. The sentimental value would always be there of course as it was given to me by my Taiwanese family. Do you have a piece of clothing which you did not like at first but ultimately became a prized possession? Really an awesome post! its really looking awesome to wear stylish winter jackets in variety of colors and styles!